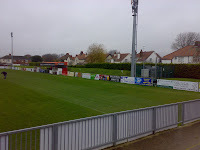 Worthing FC are a non league football club based in the large seaside town in West Sussex of the same name. 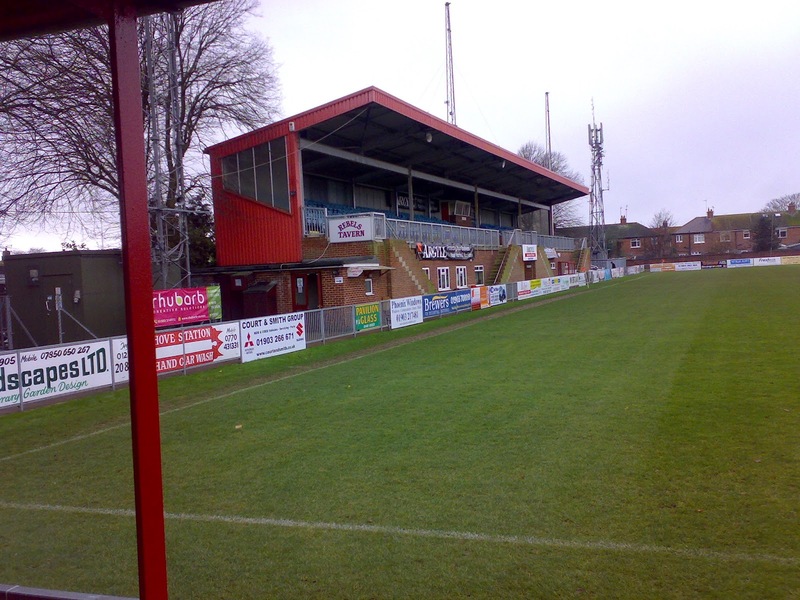 The club were originally known as Worthing AFC when they were formed in 1886 for the first thirteen years. 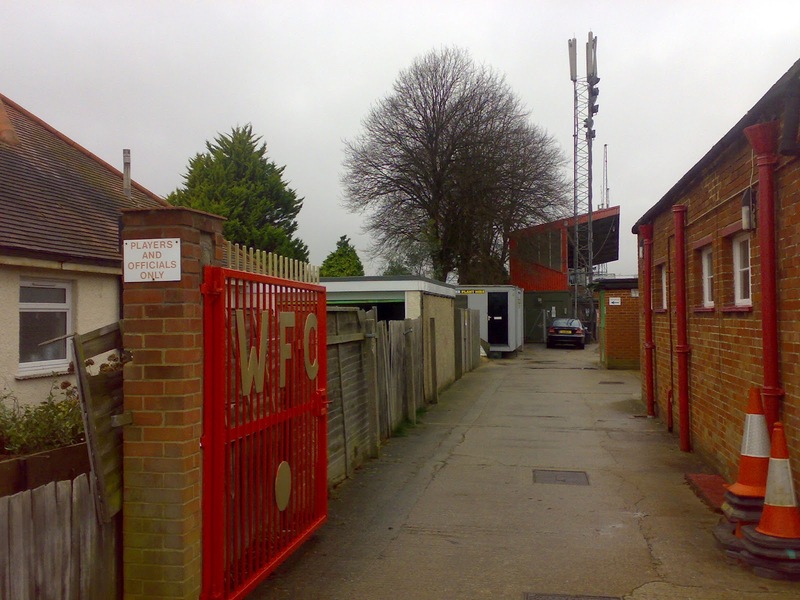 In 1896 Worthing became founder members of the West Sussex County League in 1896, a league that they would go on to win on six occasions. 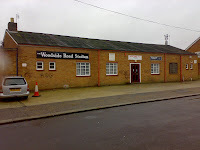 In May 1900 another local club, Worthing Athletic FC were absorbed and a year later 'The Mackerel Men' as the club were nicknamed, moved into the Sports Ground, which would later be known as Woodside Road. 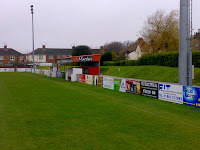 Yet another club, Worthing Rovers FC were absorbed in 1905. 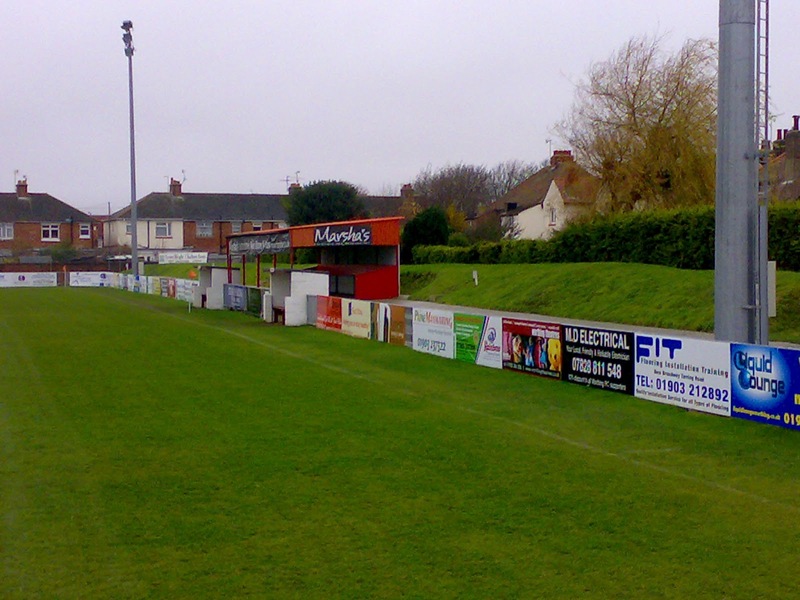 Worthing were to be re-nicknamed 'The Rebels' after they resigned from the league over a rule change. They went on to become founder members of the Sussex County League in 1920. In their twenty nine years of membership, the club were crowned champions eight times and they also finished as runners up on four occasions. In 1949 Worthing joined the Corinthian League, before joining the Athenian League when it disbanded in 1963. 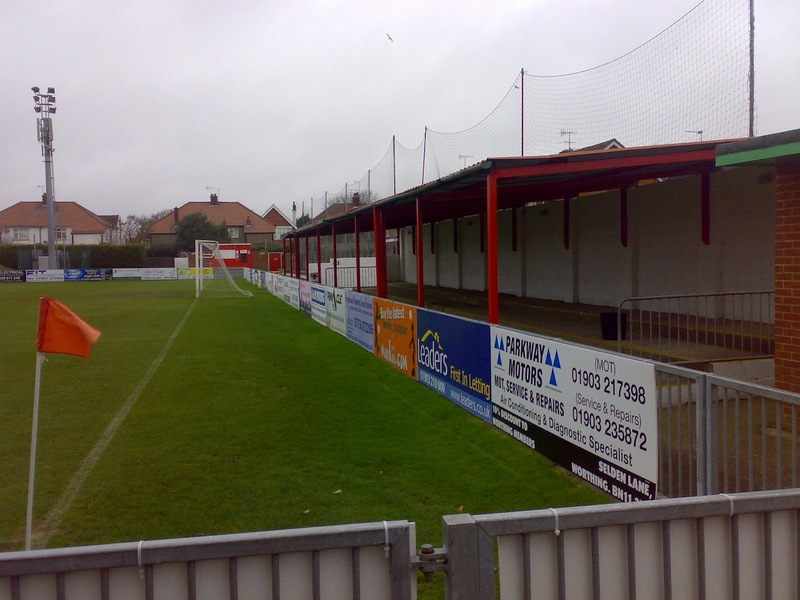 The Rebels played in each of the different divisions in their new surroundings until they moved to the Isthmian League in 1977. Future Brighton & Hove Albion manager Barry Lloyd took over the reigns and led the side to the Premier Division. The team ended as runners up twice in the eighties, but soon slid back down the divisions after Lloyd's departure. Former Northern Ireland international Gerry Armstrong was appointed as team boss. He led the side to one promotion and his successor John Robson did similar, but they were relegated after just one season. 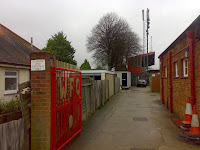 After the re-organisation of non league football in 2004, Worthing were placed in the Isthmian League Premier Division but were relegated at the end of the 2006-07 season. For two seasons in a row the team under the management of Alan Pook lost out in the end of season play offs. A new young boss Simon Colbran took over and also reached the same stage, but he left as the playing budget was cut to be replaced by Chris White in 2010. I was on the West Sussex coast on a day off from work, enjoying visiting new towns and football clubs while trying to feel healthy once more after a night out on the town with my brother Nick. After my coach ride I had called in at three nearby clubs by train and had now arrived at the large Worthing station. The town was well known as a seaside destination over the years, more for retired couples in recent times. It appeared to be neat enough, but I was on a tightish schedule because of the fading light, so I didn't adventure as much as I'd have like to have. Instead I took the short walk round to Woodside Road. As usual if I see anybody around a ground I pop in and ask for permission to enter the ground. I saw a man working in the clubhouse so I went and asked, and he said it was fine. I entered the ground where there was an older gent cutting the pitch and a couple of younger men working around the place. Another senior walked in and said hello. I started taking my pictures when the 'groundsman' came up on his mower and shouted to ask what I thought I was doing taking pictures of his football ground? Now that got my goat up immediately. I treat football clubs and their grounds with respect. Owners are merely custodians looking after their heritage. I can imagine such attitudes detering potential fans. It was completely over the top, especially compared to the general welcome elsewhere. I explained my hobby and apologised and said that I don't make any financial gain from what I do. It was merely for my own enjoyment and to showcase clubs to fans far and wide. He told me I was OK but his attitude was most unwelcoming. I told him that I'd asked permission in the clubhouse. He said that he was in charge and he was the one to ask. I probably didn't help matters by jovially telling him that mind reading wasn't my strongest suit. 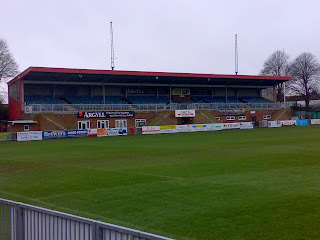 It was a shame I got such a reception and impression of the club as the ground was a real gem for traditionalists. The Main Stand was raised down one side with open standing to its side. 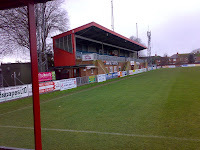 There was a reasonable sized cover and a couple of steps of terracing at the Woodside Road End. 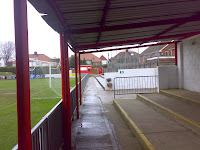 The far end had a small shelter behind the goal as did the touchline down the right hand side with some flat standing in front of grass banking. I set off having waved goodbye. I genuinely wanted to leave on good terms, but it does take two to tango. Maybe I'd just caught the old boy on an off day? 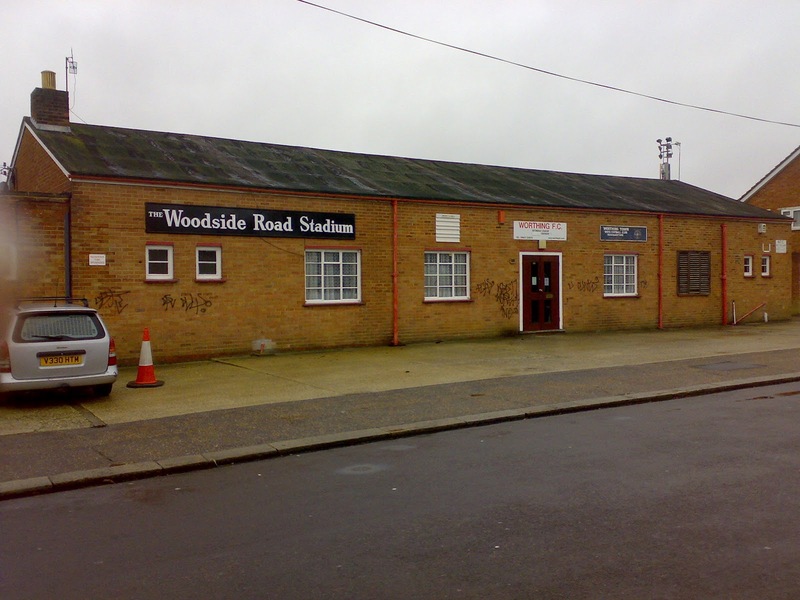 I departed to the station for a train to visit East Preston FC, hoping to re-visit Woodside Road for a game and to see the resort as a whole. The industrial dispute at work left me at a loose end. After a pleasant lunch with my good pal Ross Sullivan, I headed back on the train with itchy feet. I didn’t want to sit in all night, and just going to the pub was definitely not an option. After studying the Isthmian League fixture list I noticed that both Peacehaven & Telescombe and Worthing were at home. Both were a short distance from Brighton and the weather promised to dry up later. On reaching West Hampstead I bought a day return and headed down to the coast. My return was certainly overdue. A year or so earlier I'd booked tickets to go to a Wednesday night game at Worthing, but the night before I'd enjoyed the wonderful company of my pal Jim Wilson in the brilliant Southampton Arms before an excellent gig from The Mark Lanegan Band at Kentish Town Forum. My visit to the coast the following day was abandoned owing to a severe hangover! A beer was certainly in order, so I enjoyed a Hophead and then a Harveys Best in the eclectic Prince Albert before returning to the station. The game at Peacehaven had fallen foul of the weather but Twitter reports from Worthing looked promising, so I headed west. I was slightly surprised to be charged £9 admission for Step Four non league, as well as £2 for a pretty programme with too little reading before adjourning to the bar under the stand. I’d nearly gone into what I thought was the clubhouse outside, only to see a lady’s keep fit class taking place! 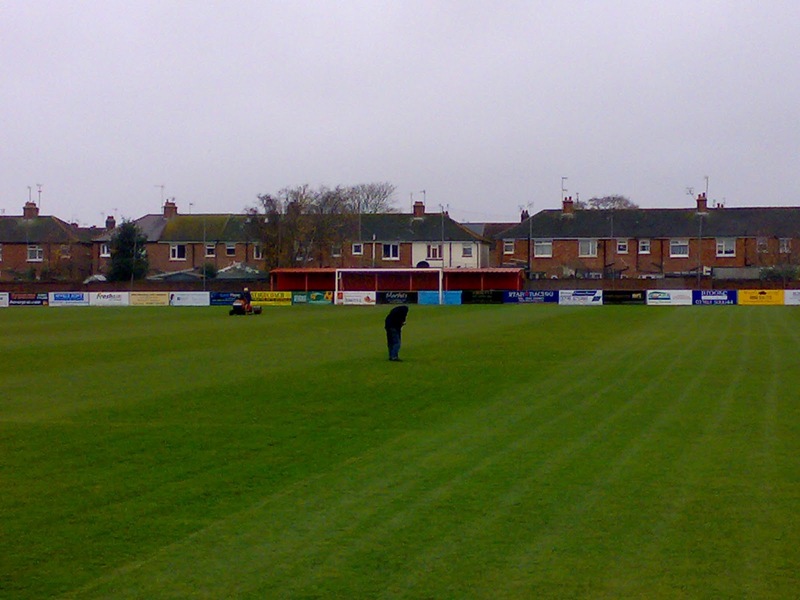 The wind was strong and blowing down the pitch, which probably dried out the pitch to allow the game to go ahead. There was a heavy shower just before the teams came out. As I was polishing off the last of my second bottle of London Pride, I looked through the window to see that the game had kicked off. Horsham won a corner in the first minute, which the wind curled towards goal, where Jamie Cade headed home. Worthing were stunned into action and within a couple of minutes were level as Kieron Pamment ran up the wing and centred for Max Howell to slam home. Despite having the wind in their faces, the home side had the better of play and carved out some opportunities. However, the visiting Hornets regained the lead when Ross Morley was tripped just inside the box. Tony Nwachukwu slotted home the penalty to the delight of the twenty or so away fans in the crowd. Ten minutes before the break, The Rebels levelled up once again in controversial circumstances. Connor Cody looked to be in an offside position when a shot came to him in the box. He had his effort saved by Horsham keeper Kieron Thorp, but to the amazement of everyone, the linesman flagged that he’d stopped it over the line! Undaunted Horsham won a corner from the break and after a scramble Lewis Hamilton fired home. Some home fans near me shook their heads in disbelief. I had a cheeseburger from the canteen near the big stand before having a warming Bovril at another outlet for drinks and sweets. 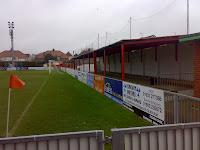 Worthing showed signs of a club of some substance, so it was disappointing to see such a low crowd in attendance. Before the break I got talking to a fellow groundhopper from the excellent Non League Matters (http://www.nonleaguematters.co.uk/forum/gforum.cgi) forum. Codofthenorth was based at Portsmouth in the Navy and was taking photos. 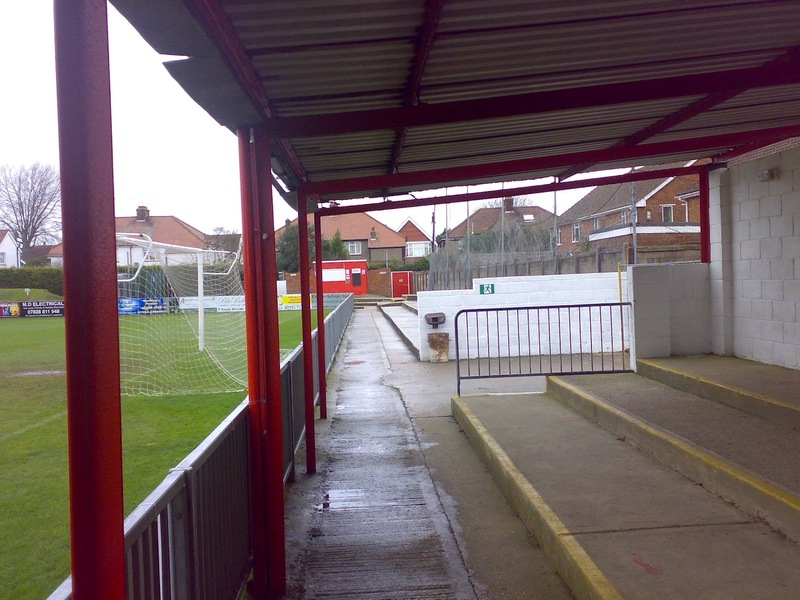 The teams emerged after the break, as an old scratchy version of 'Sussex By The Sea' blasted out over the tannoy, while I took a walk around the ground once more to see the match at different angles. By then Worthing had equalised once again. This time a Pamment cross shot was cleverly deflected past Thorp by Howell. 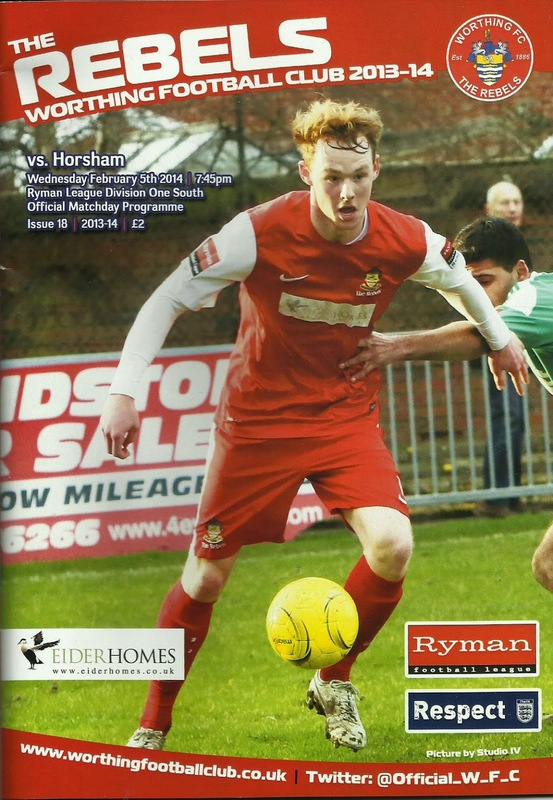 The home side began to dominate the game and restrict Horsham to an occasional break, before they took the lead after an hour for the first time. Again Pamment caused problems as he beat his man and crossed. George Gaskin smashed the ball home to make it 4-3. I enjoyed a few minutes looking down on the action up in the seats before wandering around for another chat with my fellow forum poster. We both agreed that it had been a really good game in the conditions. It looked at one stage like there were going to be more more goals, but the quality of the final one of the evening more than made up for it. Thorp’s clearance from goal got caught in the wind, Gaskin saw the opportunity and crashed a real gem home from thirty yards over the stranded keeper. It rounded off some excellent entertainment, which both sides took credit for providing. The train at 9.51 took me to Brighton, where I changed to Blackfriars. The final leg from a deserted city dropped me at Hendon for a bus ride home. I was back in my flat before 1am with my supper to relax. I was really glad that I’d made the effort.